What is the “active ingredient” section? The “active ingredient” section lists the therapeutic substance or substances in an OTC medicine that make the medicine work. It is the active ingredient in a medicine that reduces fever, relieves cough, or steadies an upset stomach, for example. What’s the difference between brand name and generic medicines? We all know the difference between “Kleenex” and “tissues” – the first is a brand name, and the other is a general description of the product. Medicines also have brand names and general (or generic) names. The generic names are the active ingredients in the medicine. It is important to pay attention to the active, or generic, name, since too much of an active ingredient can be harmful if you take more than one product with the same active ingredient without knowing it. For instance, if you did not know that Advil and Motrin contain the same active ingredient ibuprofen, you might accidentally take both and take too much of it. Drug Facts labels clear up this confusion by listing the common generic name (and dose) of the active ingredient. If you look at a bottle of Advil, Motrin, and Safeway ibuprofen, their Drug Facts labels will tell you that they all contain the same active ingredient ibuprofen. When you are taking more than one medicine at once–prescription or OTC– it is critically important that you do not accidentally take more than the maximum recommended dose of any active ingredient. What is the “purpose” section? The “purpose” section tells you what type—or category—of medicine it is, such as antihistamine, antacid, cough suppressant or in this case, acid reducer. A medicine’s “uses” section refers to the desirable effects that active ingredients are likely to have and helps tell you what symptoms or illnesses you can expect the medicine to treat. In the Drug Facts label above, the active ingredient, famotidine, has been found to temporarily relieve or prevent heartburn. You should only use products that treat the symptoms you have and if you are using more than one medicine, pay specific attention to the active ingredients so you don’t accidentally take too much. As always, ask a doctor or other healthcare professional if you have any doubts about whether a medication is right for you or your family. Just as active ingredients have desirable effects, such as symptom relief, they may also cause side effects or may be less safe under certain circumstances. The manufacturer and FDA tell you what to expect in the “warnings” section and when you should ask a doctor or other healthcare professional. In our acid reducer example above, we know the active ingredient, famotidine, is useful for relieving or preventing heartburn symptoms but the “warnings” section notes that you should not use if you are allergic to famotidine or any other acid reducers. 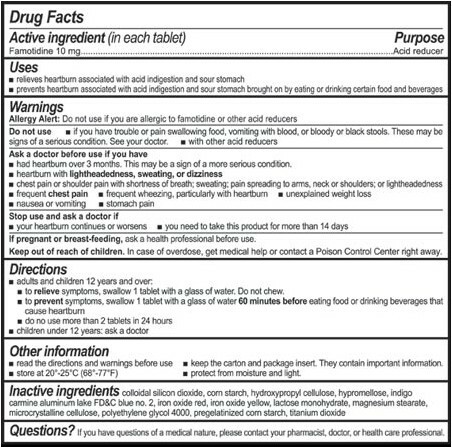 For other ingredients, the drug warnings section may list additional effects for those with certain conditions such as who have glaucoma, emphysema, chronic bronchitis, or urinary problems. People with these conditions should check with their doctor before using certain medications. Also, with some OTC medicines such as antihistamines, the drug warnings section tells us about possible side effects such as drowsiness and that it might be made worse by alcohol ingestion. It is always important to review the drug warnings carefully so you do not take a medicine if you have a condition that might result in undesirable reactions. Also, it is important to be aware of potential side effects. As long as you are aware of all the potential uses, side effects, and risks, you can make an informed decision about when and whether to take an OTC medicine. The “directions” section contains instructions for the drug’s safe use. These instructions tell you exactly how and when to take a medicine, and you should follow them carefully so you take the right dose at the right time by the correct route (for example, eye drops should not be confused with ear drops). 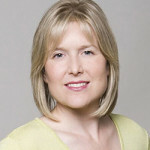 Often times, the amount and direction are different for children of different ages or weights. For example, with children’s pain and fever medicines, the directions section includes a dosage chart that lets parents and caregivers know exactly how much they should be giving to their children. It all notes that in some cases, very young children and babies should not receive the medication at all. It is important to know that drug directions are not simply suggestions or recommendations, but critical guidelines that must be followed. 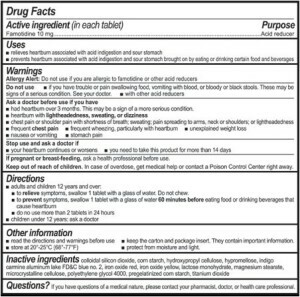 Overdoses can cause severe reactions not usually listed on the Drug Facts label since the label is designed to talk about how to use and what to expect when you take the medicine as directed. What is the “other information” section? Additional safety and storage instructions may be found in the “other information” section. Some active ingredients may be damaged by hot or cold temperatures or excessive moisture. When an OTC medicine contains significant amounts of minerals such as calcium, potassium, or sodium, it will be noted in this section. Inactive ingredients may be used to improve the taste or ease of use of the OTC medicine. Some inactive ingredients act as fillers or capsules to bind the active ingredient into a pill form, and others serve as preservatives to keep the product fresh and safe. Inactive ingredients usually have no effect on consumers. However, if you have allergies to wheat, milk products, soy, corn, or any other food, vitamin, mineral or food coloring, you should review the inactive ingredients to make sure they are safe for you. OTC medicines are recognized by the U.S. Food and Drug Administration as safe and effective for the uses listed on their Drug Facts label. As long as you are careful to avoid taking too large a dose of active ingredients and are mindful of the warnings, safe storage tips, and potential concerns with inactive ingredients, you should be at low risk for any harm. Mr. E was experiencing chronic joint soreness due to osteoarthritis. He decided to take some OTC medication, but did not read the warnings and directions on the Drug Facts label. Every day, he would take the equivalent of four times the recommended dose of ibuprofen to ease his discomfort.